Salon Pacific is a trade only site. Made with Australian Botanical Extracts. Formulated to support skin post hair removal, delivering results you will love. The Lish Body Care range compliments all hair removal services including Sugaring, Waxing and IPL. The range has been formulated to support the skin post hair removal and contains Australian Botanical Extracts. These products are designed to soften and hydrate the skin, soothe redness and also help to reduce ingrown hairs. 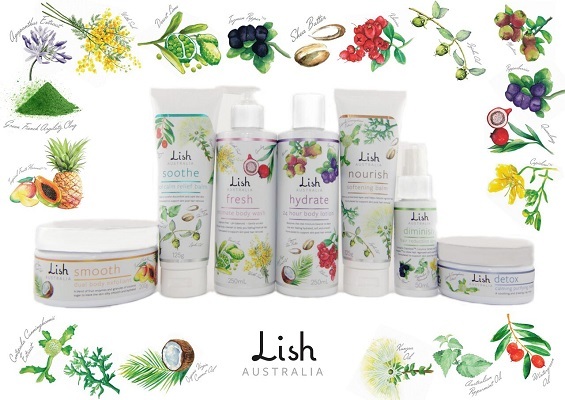 Lish Australia prides itself on creating products that are Australian made. Not tested on animals. Gentle on skin. Paraben Free. SLS/SLES free. Free of harsh detergents. Suitable for all ages and skin types.